Shanghai, China – Mar, 2018 – an EVG GeminiFB XT 300mm system was successfully delivered to one of our valuable customer in China. Dymek has been representing EVG in China for more than 10 years and an impressive amount of EVG systems have been sold since then. EVG is a leading high-tech equipment supplier, based in Austria, Europe. EVG owns a major market share in wafer bonding, lithography and NIL industry worldwide. 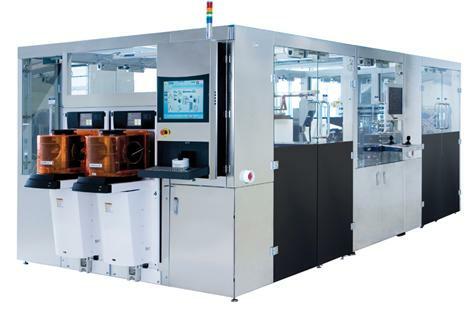 Gemini series are Automated Production Wafer Bonding Systems. GEMINI FB (Fusion Bond) performs aligned direct bonding at room temperature and ambient pressure conditions. Because the initial bond is formed when the wafers are brought into contact in the aligner there is no need for bond chambers. High throughput, best alignment accuracy and small footprint, combined with multiple pre-processing chambers, ensures best performance. The customer is a major FAB in China, which provides integrated circuit (IC) foundry and technology services on process. We are looking forward to further cooperation with this customer in future.